Arizona Cracks Down. 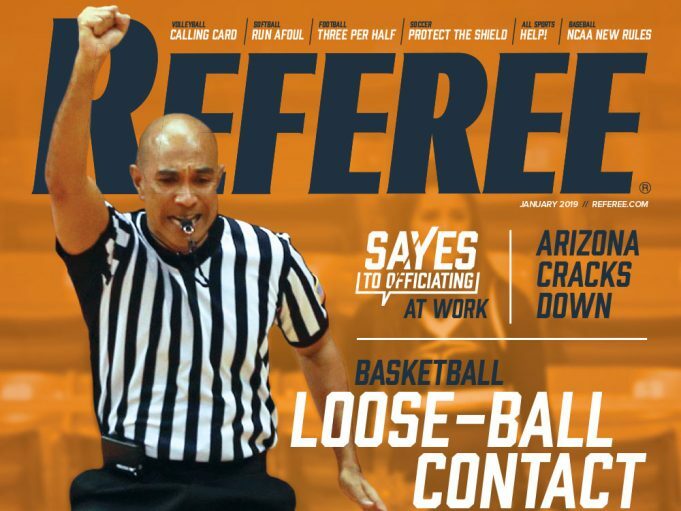 The Arizona Interscholastic Association is tackling sportsmanship issues in high school sports. Charity Stripes. NFL official Carl Paganelli finds comfort in his wife’s final words. Baseball. NCAA rule changes for 2019-20 target pace of play. Volleyball. Having open lines of communication with captains is key to control. The News. 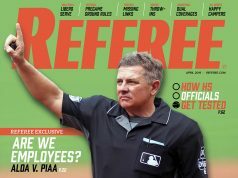 NFL fires official during the middle of 2018 season. Getting It Right. Hawaiian officials say aloha to hall of fame. 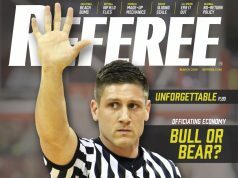 To view the whole issue – Subscribe to Referee magazine today!